You are lost in a mysterious forest and have no idea how you arrived. 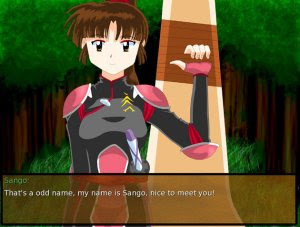 With Sango (from the anime Inuyasha), you must figure out how you got there and why. The game isn't very long but it's good for a quick laugh.